2 Oval Suites, 48 Large Rooms, 4 Rooms for Disabled visitors and 302 Standard Rooms. And each floor is designed in a different color pattern. All our Standard Rooms has balcony and most of it has garden view, floors are covered in ceramic tiles. 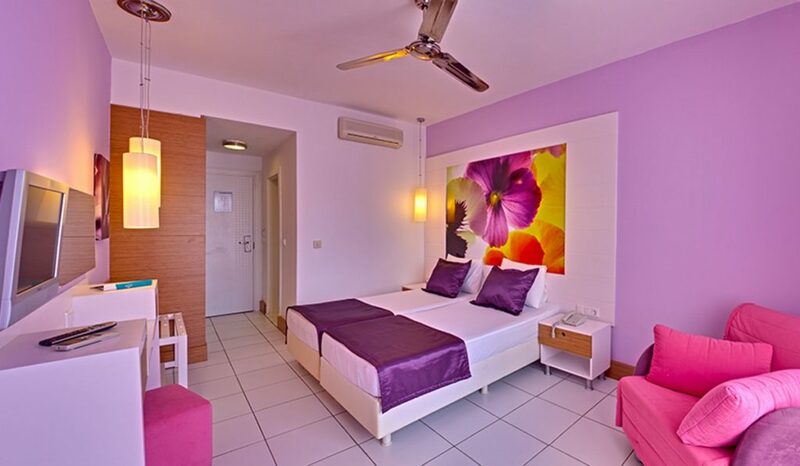 Standard Rooms offer services and comforts such as; split Air Conditioner, LCD Tv with satellite broadcast, direct phone, minibar, hair dryer, safe box, a sofa where a 3rd visitor may comfortably lie down, shower and WC, and are 20m². 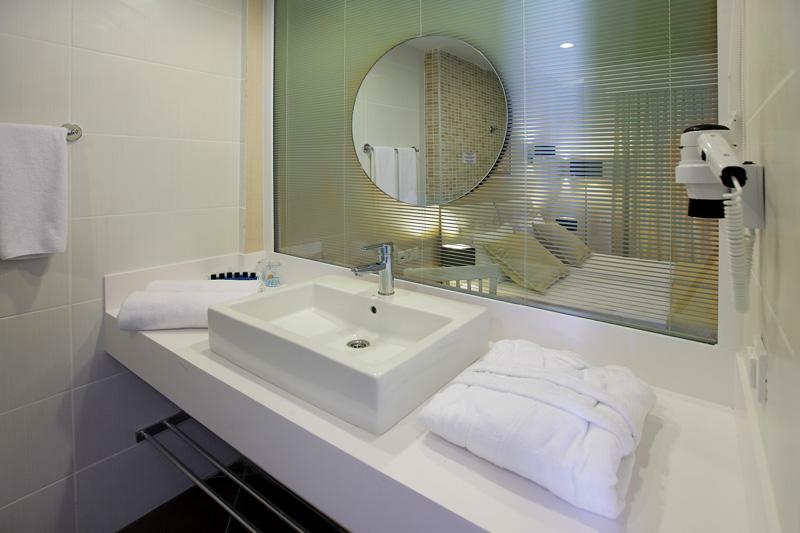 Four of these rooms are designed to accommodate the needs of our disabled guests. 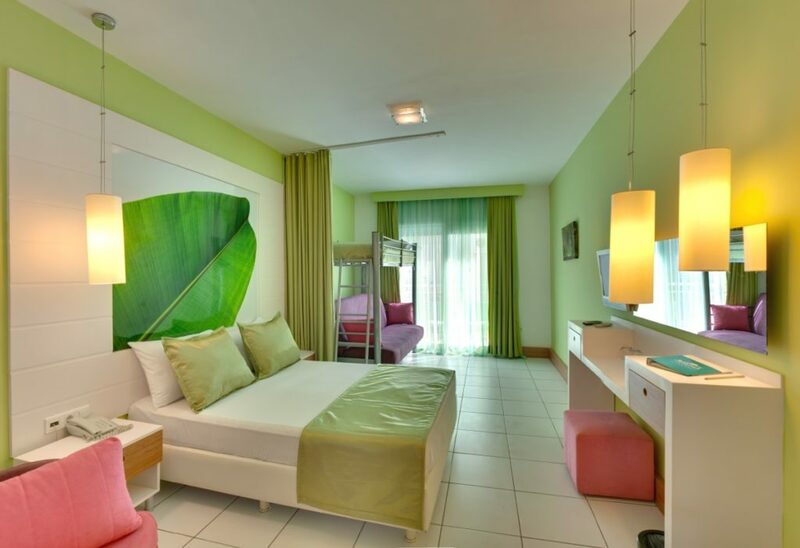 Large Rooms offer all the accommodations offered by Standard rooms, in addition to a bunk bed, separated from the main bed with curtain. 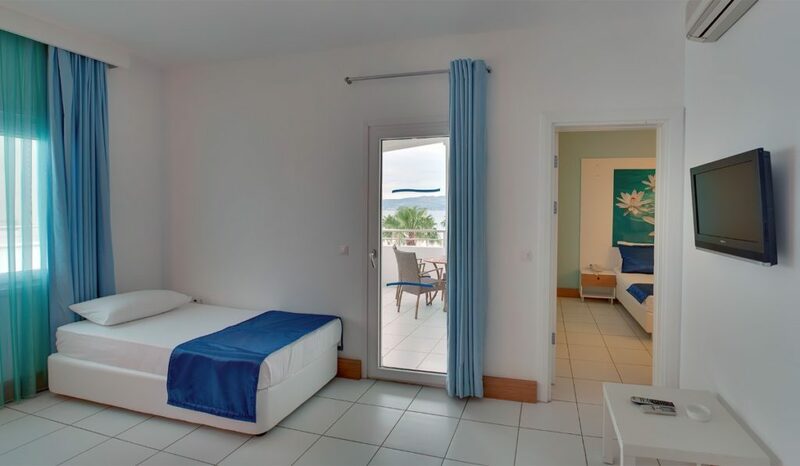 These rooms are 26m² large and offer accommodations for maximum 5 guests. 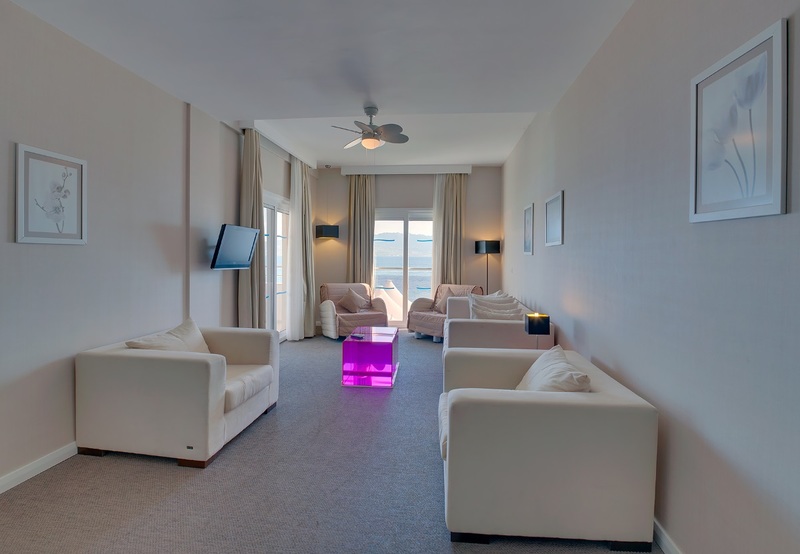 With their modern design, pool and seaside views, these rooms come in two types; Deluxe Suit Rooms and Deluxe Standard rooms . 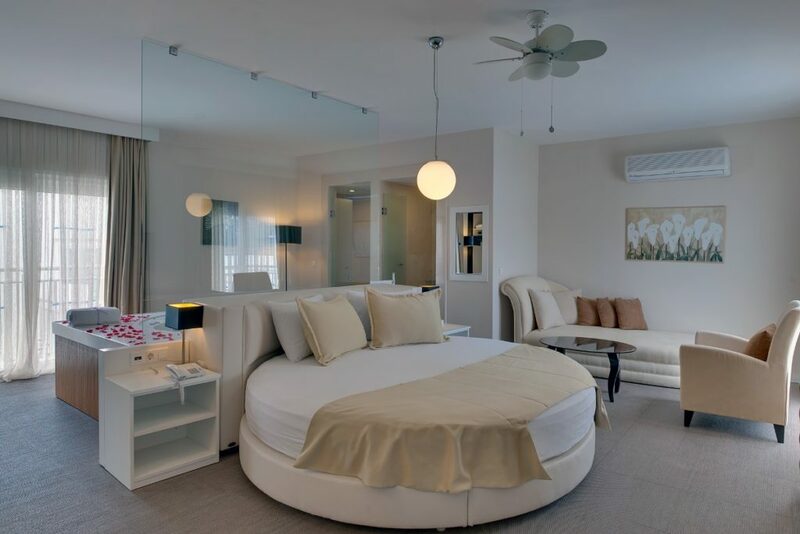 With a bedroom and main room, offering services and comforts such as; split Air Conditioner, LCD TV with satellite broadcast, direct phone, minibar, hair dryer, safe box and a Jacuzzi bath tube. The floor is covered with special covering. 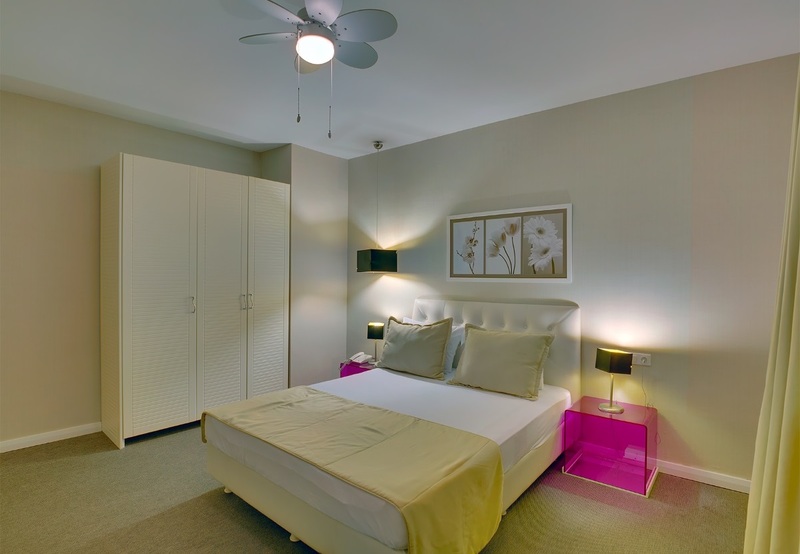 Deluxe Suits are 46 m² and Deluxe Standard rooms are 22 m². 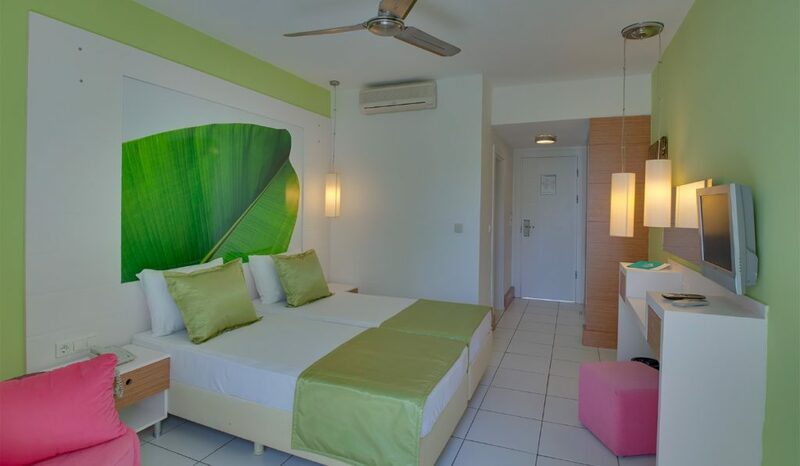 With terraced garden and sea view, our junior suits offer a large bedroom, a main room with split Air Conditioner, LCD Tv with satellite broadcast, direct phone, minibar, hair dryer, safe box. The floor is covered with ceramic tiles and the room is 32 m² large. 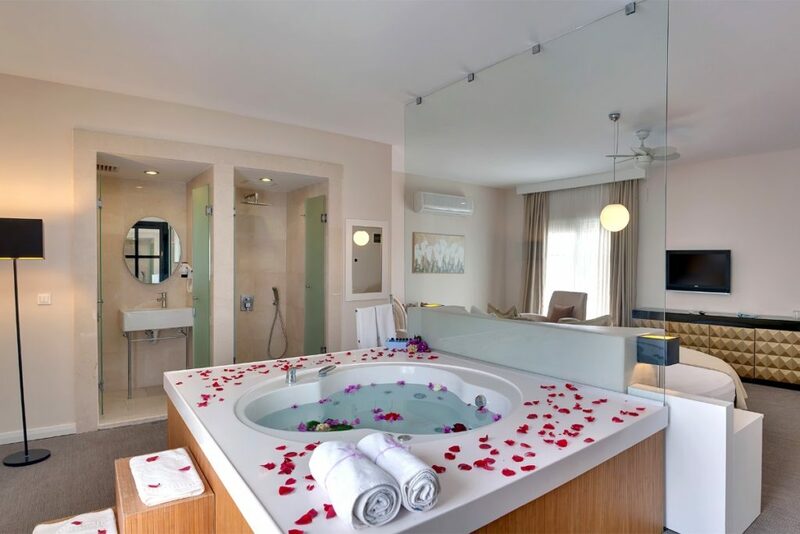 With a special design oval bed and an oval Jacuzzi bathtub for couples, our oval suits offer split Air Conditioner, LCD TV with satellite broadcast, direct phone, minibar, hair dryer, safe box, wc and shower. Oval Suits are 45 m² large and the floor is covered with special covering.